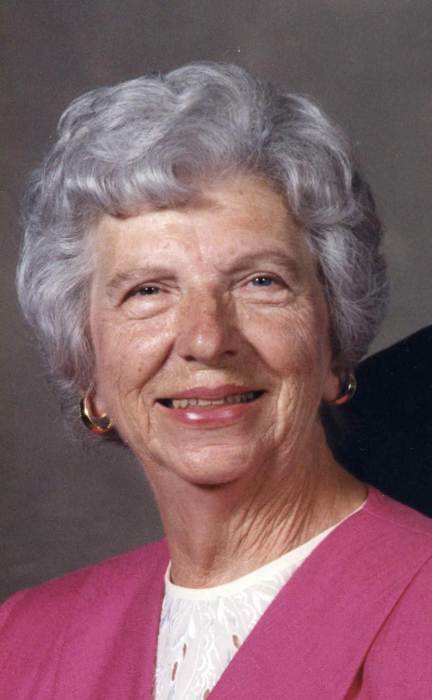 Margery J. Lehenbauer, 91, of Hannibal passed away at 1:25 p.m. Friday, April 12, 2019, at Hannibal Regional Hospital. Funeral services will be held 10:00 a.m. Wednesday, April 17, 2019, at Immanuel Lutheran Church in West Ely. Pastor Scott Salo will officiate. Burial will be in the Immanuel Lutheran Church Cemetery in West Ely. Visitation with family and friends will be held 4:00 to 7:00 p.m. Tuesday, April 16, 2019, at the Smith Funeral Home & Chapel. Margery was born on May 4, 1927, in Hannibal the daughter of August Nicolus and Mary Evelyn (Gillespie) Troppmann. She was united in marriage to Martin C. Lehenbauer, Jr. on October 6, 1945, in Macon. He preceded her in death on February 1, 1995. Survivors include her children, Jill Pflantz and husband Rex of Hannibal, Ronald Lehenbauer and wife Michelle of West Ely, Cara Hanlin and husband Greg of Rolla; son-in-law, Kenny Seaton of Paducah, KY; nine grandchildren; sixteen great grandchildren; and nieces and nephews. Margery graduated from Hannibal High School in 1945. Later that year she married the love of her life Martin. Margery worked most of her life as a farmer’s wife helping raise her children and helping her husband out on the farm. Mrs. Lehenbauer was very active in the Marion County Republican Central Committee and held various positions throughout the years. Her biggest achievement was serving as a delegate at the National Republican Convention in Detroit, MI. Margery also was an active member of Immanuel Lutheran Church in West Ely and a member of the Lutheran Ladies Aid. She had also served as a 4-H Leader for her children in the past. Margery enjoyed sewing in her free time, traveling with her family, playing Canasta with her friends on Thursday’s, and trips to the casino. Margery was an avid Cardinals fan who rarely missed watching a game. Margery’s biggest love was her family. She cherished the time spent with her family and enjoyed cooking wonderful meals for them. Memorial contributions may be made to the Glaucoma Research Foundation or Pancreatic Cancer Action Network, in care of the Smith Funeral Home & Chapel.